Spaces City Hall is the very first SPACES project in Singapore. 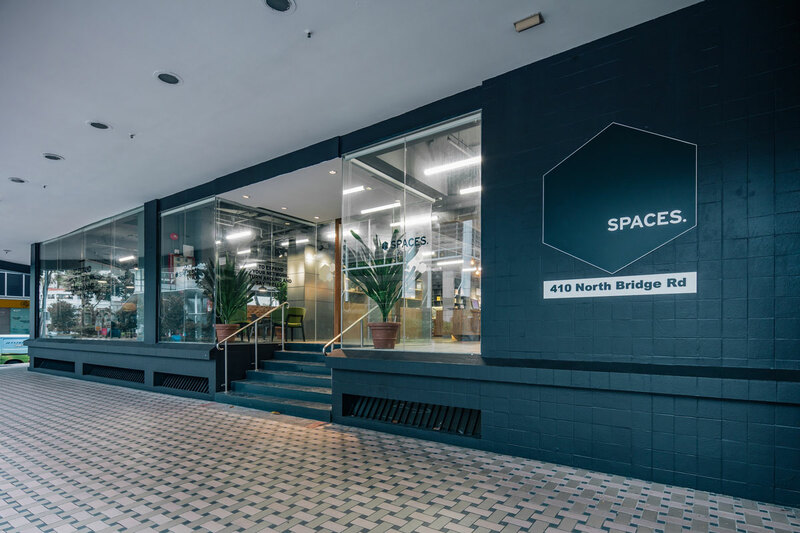 The trusted brand offers coworking space for young people entering the corporate world. FVA design teams are constantly working to establish an optimal design guideline. With young entrepreneurs and startups in mind, we would like to create a place that is a great joy to work in for extended periods. 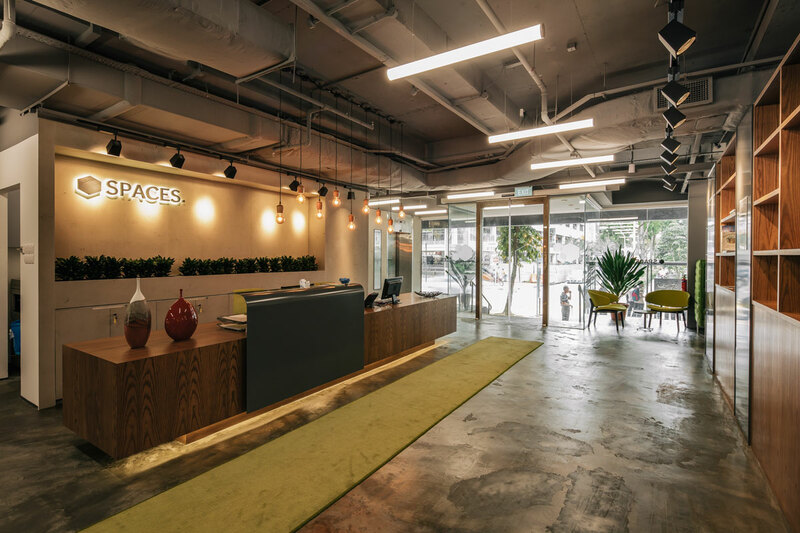 Situated in the popular City Hall area of Singapore, Spaces provides an inspiring workspace and a unique surrounding with both business and entertainment spots nearby. 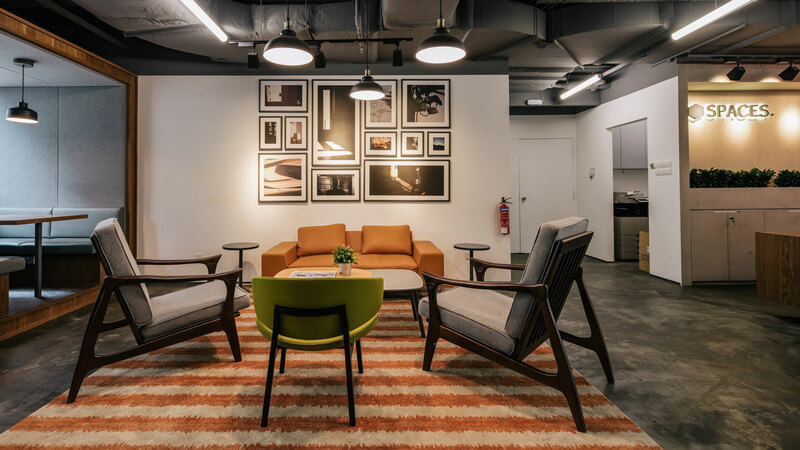 This location has a wide variety of co-working spaces, meeting rooms. private offices and event space offering creative working environments with a vibrant entrepreneurial spirit. We went with industrial, open design concept for the 1st and 2nd floor, which are for the business club. The connectedness cheers up the community oriented area. Next, 3rd to 7th floor are for office suits, but they are no ordinary office suits. The odd numbered floors (3rd, 5th, 7th) features dark brown color tone. While even numbered ones (4th, 6th) uses deep green tone. This ongoing transition of color renews visitor's mood effortlessly. As for furniture, we have brown as the dominant color. The dark gray background makes good stage for brown and green leather. This creates a modern, progressive environment while still feeling calm and focused. Also, our team changed the overall tone of the building from light grey to dark grey as requested by our dear client, Spaces. 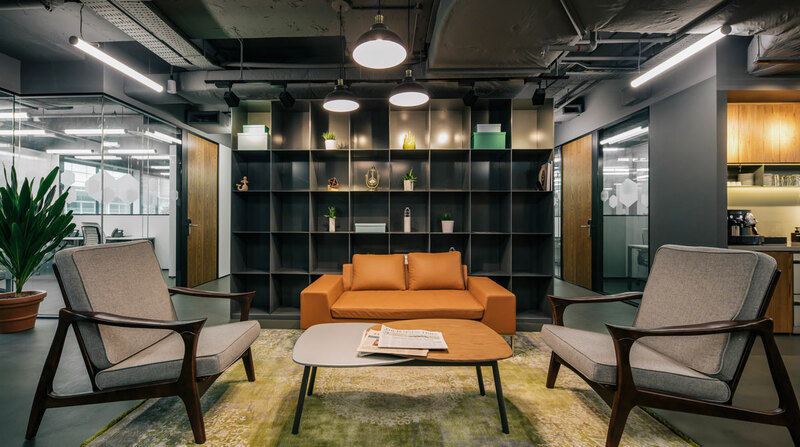 In a nutshell, trendy furniture combined with dark, cool tones make for a striking remark in the rather busy, dynamic area. Spaces City Hall is known as the very first SPACES project in Singapore. 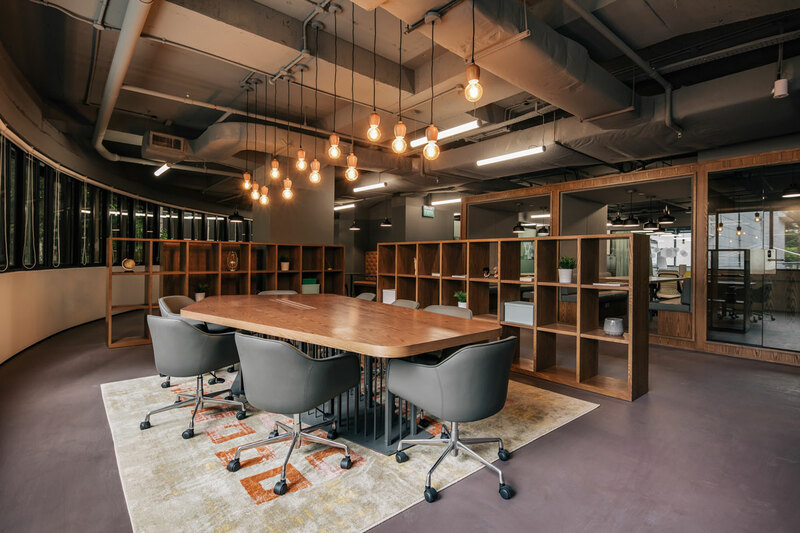 The trusted brand comes with coworking space offerings for young people entering the corporate world. D&P Associates design teams are constantly working to define an optimal design guideline, developing an identity for young entrepreneurs and startups.